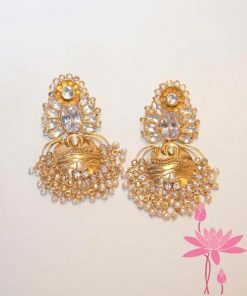 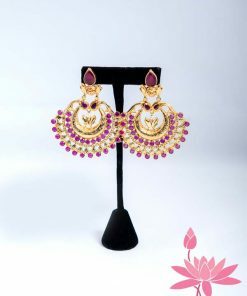 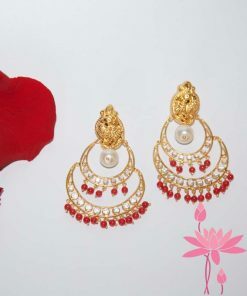 Indian Bridal Jewelry, 92.5 Silver Gold Plated Big Jhumkas with Kundan & Meena Work. 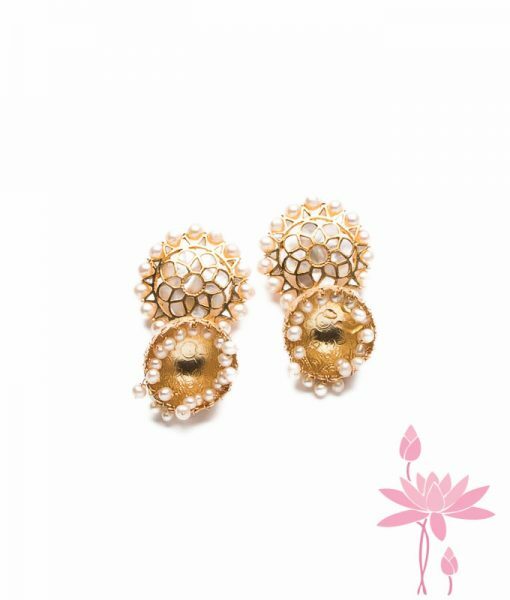 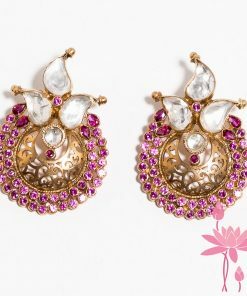 These beautiful earrings are made with delicate mother of pearl stones and pearls. 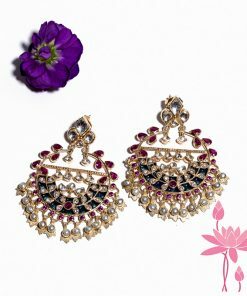 Size 2.25 ” x 1.5″, Style: Sabyasachi. 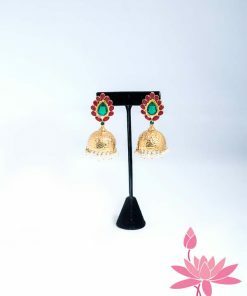 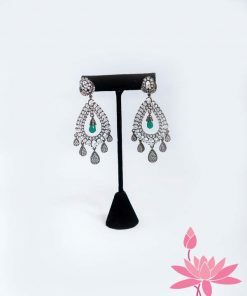 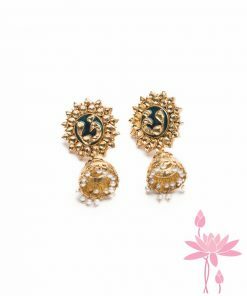 Silver Gold Plated Jhumka with Mother of Pearl stone settings.